I am loving so many things right now. These are just a few of my favorite things. Must-have products and worth every penny! 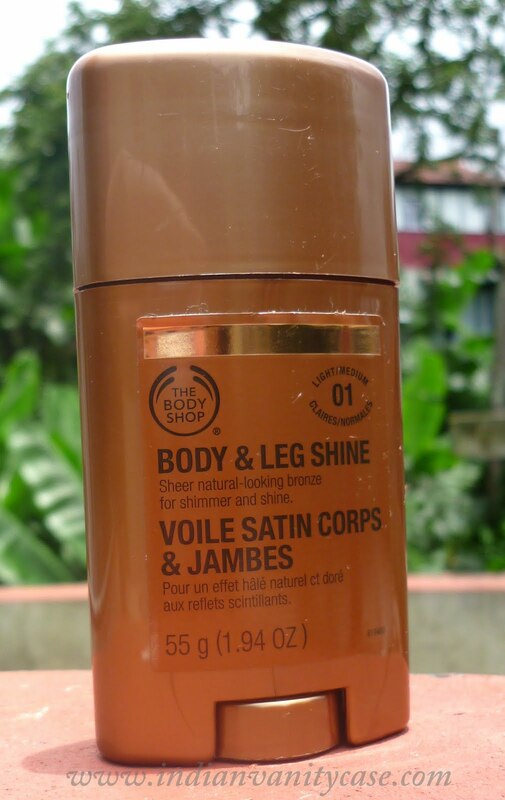 If you like showing off your legs, this could be your BFF. It adds a lil' bit of oomph to your body. I think applying it on your whole body can be a bit much. I'd apply it only to my legs & back (if wearing backless), collarbone & arms if I'm not showing my legs. Once applied, the bronze doesn't show, except for the gold shimmer. When the sun or lights hit your skin with this on, the glow is hard to miss. It smells good too- fresh like a deodorant. 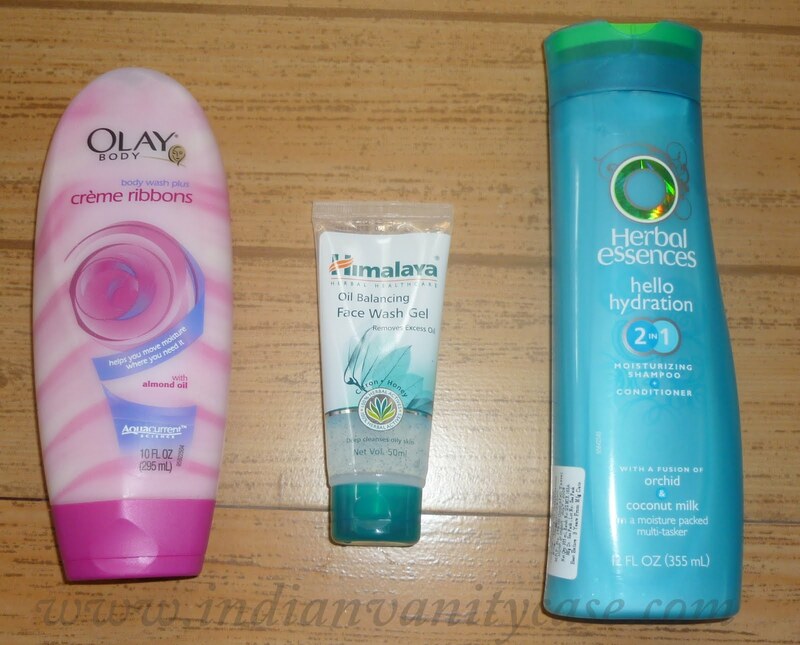 Olay Creme Ribbons body wash (Rs.190)~ My favorite body wash of all time. So so creamy! Smells delish too. Herbal Essences Hello Hydration 2-in-1 Moisturizing Shampoo + Conditioner (Rs.179) ~ Sometimes using a separate conditioner can get mundane and tedious. It leaves hair smelling coconutty and feeling soft. However, coz my hair gets so frizzy these days, I like to use a leave-in conditioner afterwards. Colorbar I-Glide Eye Pencil ~ Must-haves. Glide on very easily without having to tug on the eyes and available in pretty shades. 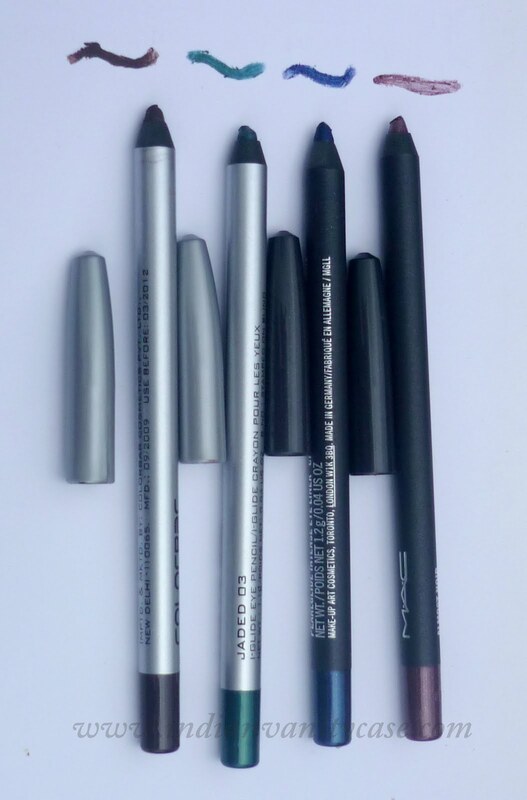 Mac Pearlglide Intense Eyeliner ~ I had this only in Petrol Blue at first, loved it to pieces, and went to get Almost Noir too. They are so soft and the shimmer in them is gorgeous. The name says it all. 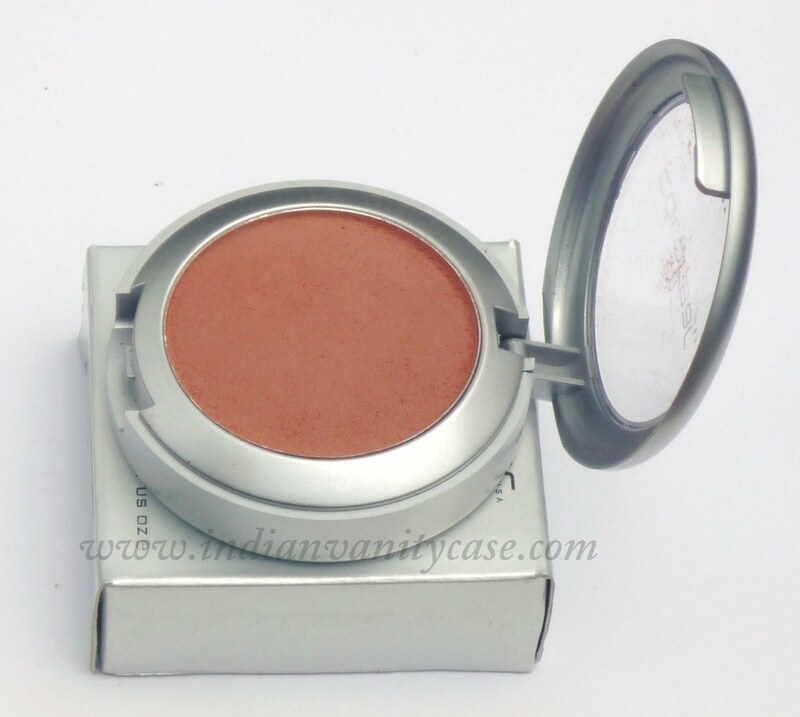 This cream blush brings out the most natural-looking glow to my cheeks. It is a pinkish-coral shade that would suit anybody. The cheapest blush I own, but one of the best! 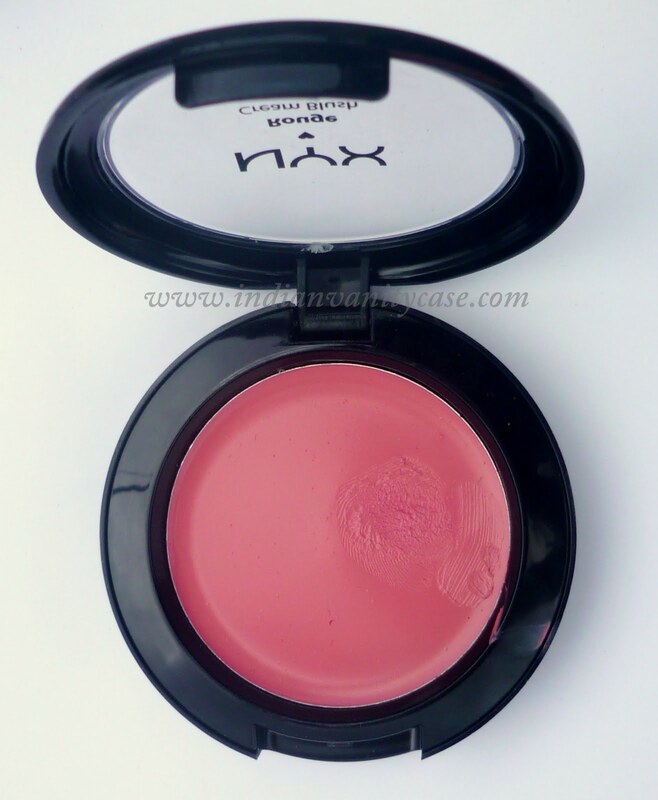 The texture is quite similar to MAC Sheertone Blushes, in my opinion. Go get it now! That's it for now. Hope you enjoyed this post. Color bar blush, pencils, swear by olay cream body wash..
Daisy is my new favourite perfume too! I got mine in the EDP version. I love the scent!! 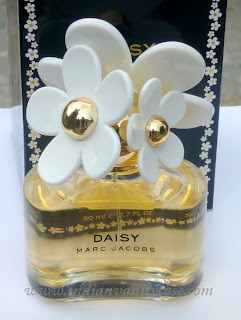 I will be trying to smell myself all day when I'm wearing this! lovely stuff you've got there hun! I'll try the colorbar blush soon now that you've given it a great review! CAn you do a swatch? the perfume bottle is soooo cute! daisies are one of my favourite flowers, so pretty! the colorbar blush is amazing, i have it in trace gold but can no longer find it on the website. has it been discontinued? i am looking for my first cream blush. how do you apply yours? i was thinking of getting the small stippling brush from mac. Nice stuff! I love the perfume bottle! soo girly and cute! must be a good one to try! Ohhh.. The Daisy bottle looks so pretty! I have used herbal essences 2 in 1 hello hydration myself. 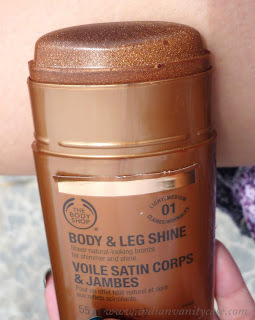 It is quite good, but didn't moisturise enough for me too, had to use a leave - in. 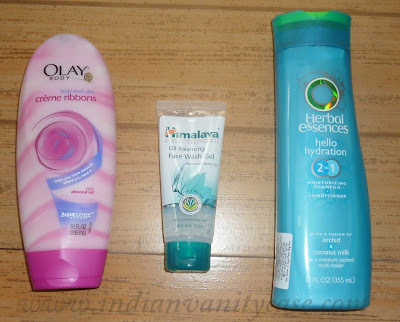 I bought the Olay Body Wash upon your previous recco and loving it so much..Smells yummylicous. Mine is almost over and am gonna buy again. 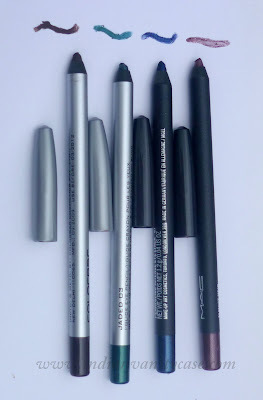 i ve been eyeing the petrol blue liner eversince u reviewed it! Btw where do u pick up ur NYX products from?